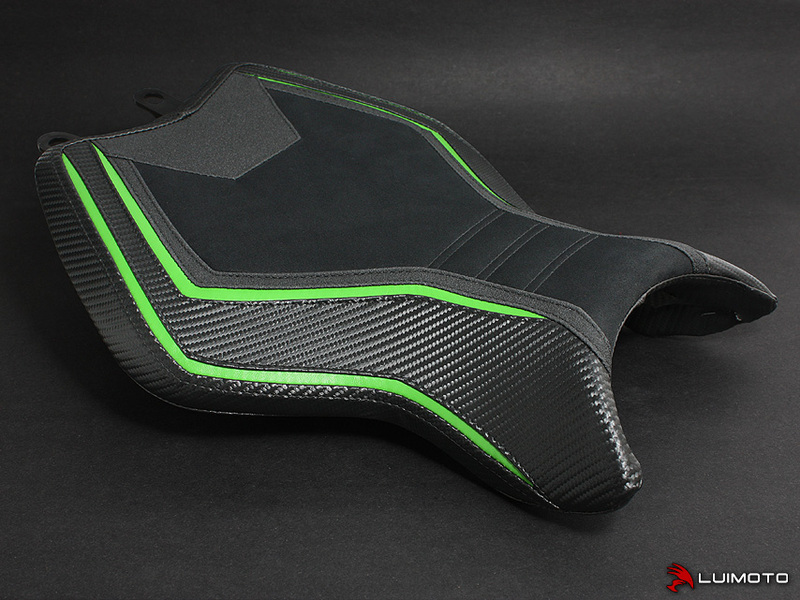 Introducing the all new Luimoto seat cover for the Kawasaki H2 Superbike! Featuring our most aggressive design to date inspired by the serpentine form of the H2. Tec-grip runs all along the seat edges for added traction and surrounds our luxurious suede surface for an enhanced quality experience. Carbon fiber look marine-grade panels reflect the light complimenting the silver mirror bodywork. Stand out with the finishing touch of Luimoto!